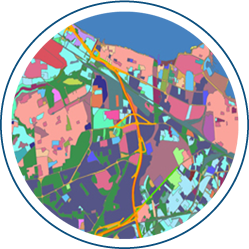 Web-based Geographic Information System (WebGIS) provides information management and publishing geographic databases through the Internet. 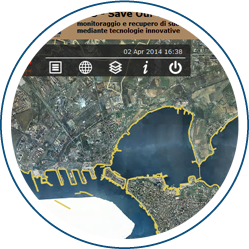 It can be developed using the so called “open sourse” technologies (MapServer, Geoserver, PostGIS and PostgreSQL), a modular and scalar architecture, as stated in the European Directive INSPIRE. 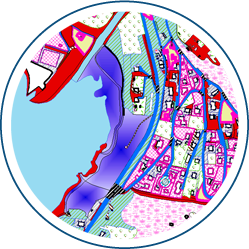 WebGIS system allows using any Internet browser to be connected with defined geographic database, allowing the user to navigate through geographic and thematic information and provides citizens with services such as the ability to monitor the development of administrative procedures , reporting events, locating object and occurrences. 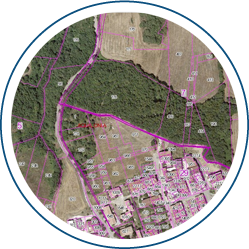 The system allows the detection of spatial elements and information in accordance with the different buttons to access, such as cadastral identification , geographic reference to street addresses , or anything else that can be applied ad-hoc reference. 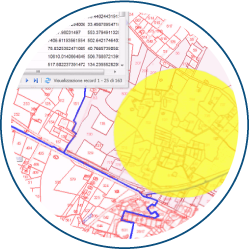 There are also functions of spatial analysis of geographic data base (Point Buffer, Buffer Object Query Builder), checking the topological similarity between the elements to be introduced, and everything else needed to use the information from the card and procedures for territorial adjustment. 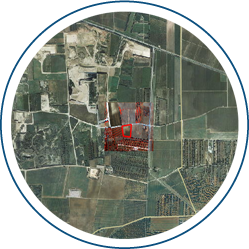 At any time the user can choose to print a selected portion of the territory and interest to him information layers, and set the paper size, scale, resolution, legends, etc. by automatically generated PDF files. 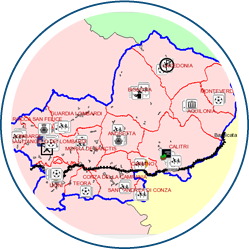 The system provides the user the ability to alphanumeric and cartographic editing online through which you can even remotely over the Internet to update the database by geo insertion, modification and cancellation of spatial elements and alphanumeric information associated with them also by portable devices such as tablets, PCs, IPAD, smartphone, etc. that can be used on the job site. 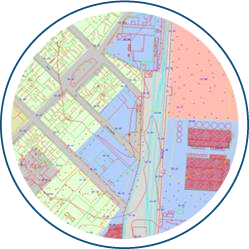 The system provides services for interoperability, such as WMS (Web Map Service) and WFS (Web Feature Service), which allow the sharing of spatial data between GIS systems.